Jos Schmitt is one of the founders and President & CEO of the Aequitas NEO Exchange, a stock exchange he formed with the support of a number of blue-chip financial institutions. 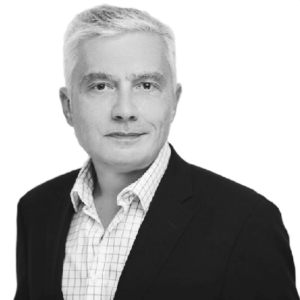 Jos has over thirty years of experience in the financial services industry internationally, with particular expertise in the market infrastructure space, across asset classes and across geographies. Prior to NEO and in the role of President & CEO, Jos formed together with a number of blue-chip financial institutions the Alpha Group of companies, including the Alpha Stock Exchange. This followed his role as EVP Head of the Americas and Global Head of Capital Markets for a global professional services company focused on the financial services industry. During his tenure at this professional services company, where he was part of the original partnership group, he acted as strategic advisor and director of operational and/or technology programs for some of the largest stock and derivatives exchanges and clearing houses, alternative markets, data vendors and broker-dealers around the globe. Some of his other previous roles include: President and CEO of a European Derivatives Exchange and Clearing House, President and CEO of a pan-European Indices Publisher, Chairman of a Derivatives SRO, and Head of Strategy and Business Operations at a European Stock Exchange.